Cover Copy: Bloom leads an all-too-ordinary teenage life until she finds herself smack in the middle of a battle between an angry ogre and a real-life fairy princess. That’s when she discovers that she has magic powers and she sets her sights on attending the Alfea School for Fairies. But it doesn’t take long for Bloom to realize that Alfea is a far cry from Earth. One of her teachers is a leprechaun, the headmistress is a retired fairy godmother, and on her first day Bloom has to battle three witches from the Cloud Tower School for Witches. Luckily she won’t have to survive all on her own. 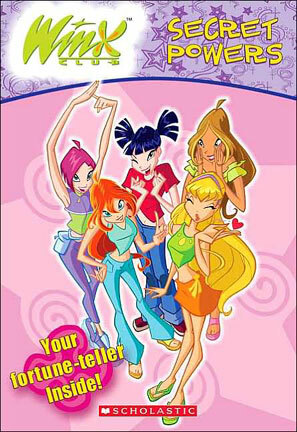 Together with her new best friends, Stella, Flora, Musa, and Tecna, she joins Winx Club—a powerful fairy force to be reckoned with!